Never heard of Mungo’s HiFi before? That’s ok, most of Nairobi hadn’t until a few weeks ago. However that is all set to change this October 9th, when two representatives of Scotland’s loudest crew of Dub and Reggae heads, hit Nairobi with a thundering performance at the Mall Rooftop in Westlands. Mungo’s HiFi was created by Tom Tatterhall and Doug Paine back in the year 2000. They were at that time living in Glasgow and had been assiduously collecting dub, reggae and dancehall records, playing out in clubs and bars. At some point they came across some old speakers and fixed them up using some of the money they had made through DJing. At the time, soundsystems in Scotland focused mainly on playing techno music and Doug and Tom were determined to change that. They were not the first reggae soundsystem in Glasgow, there were many that had been around since the 1980s, however they all had a very small following and not much impact. As Mungo’s HiFi began to expand, they looked to incorporate people who shared their vision into the overall framework of the crew. “In terms of equipment we initially made do with what we had,” explains Doug. “After some time we began to save up, at which point we could afford better equipment in terms of speakers and amplifiers – we learned as we went along”. We finish the interview enquiring after the fabled Ferrari soundsystem that the crew has currently been test driving. Doug is guarded in his answer, maybe because it is still early days and the cat is not entirely out of the bag on that front. He tells us that, “We feel that technology has driven soundsystems and the music played on them. We love the old, but we embrace the new. We are interested in what sounds good, and this is a constantly evolving quest”. With that our interview draws to a close. 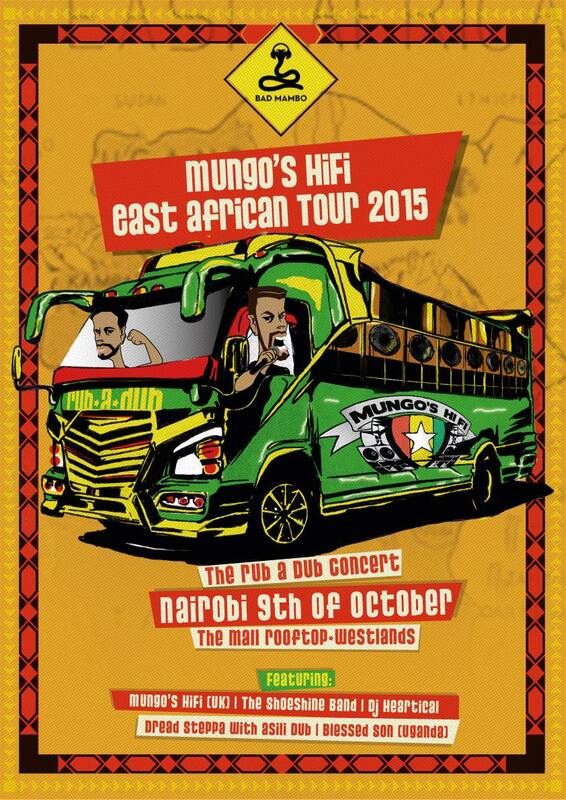 It wasn’t easy pinning down such a busy man but we felt it important so that Nairobi could get a sneak peak into what Mungo’s HiFi is all about. See you on the 9th of October!